2 comments on "Bonanza Bird #22: Eurasian Eagle-Owl"
I loved this bonanza!! !My favorites were St.Lucia Amazon,Hawk-headed parrot,Orange-winged Amazon,Eastern Rosella,Gentoo penguin and the Red-legged Seriema! !I can't wait for the next bonanza! 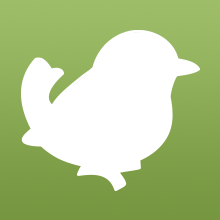 !And also just to add,i'm loving the changes that you guys from birdorable are doing recently to some birds like the Osprey,Peregrine falcon,Golden conure,Pacific Parrotlet and other 15 birds.I'm a fan of Birdorable! I loved this birds bonanza too! 22 is my favourite number. I like Taylor Swift. Spatula.